The role of stakeholders' incentives and economic issues in general are of critical importance in guaranteeing the continuous success of the Internet ecosystem. 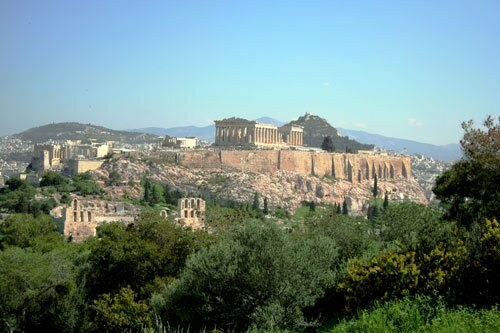 The SESERV project is organising a workshop in Athens, January 31, 2012 to highlight the importance of such issues in Future Internet policy development and architecture. a) to present economic issues related to the adoption and usage of technologies (e.g. new pricing schemes) as well as to other regulatory aspects of the Future Internet (such as interconnection, network neutrality, infrastructure-based competition, etc.). b) to discuss and elaborate through breakout working sessions on the potential advantages and drawbacks of following the "tussle-awareness" paradigm upon designing Internet technologies. To this end, selected case studies from several FP7 research projects will be used to identify how conflicts of interest arise when existing and foreseen technologies are utilized and what the potential economic externalities may be. c) to debate topics such as "one Internet vs. multiple internets", the role of regulator, the role of economics etc based on those with opposing viewpoints. You can reserve a room at the same hotel, at a special rate, by filling this form. There are seven recognised causes of 'market failure' - a condition where normal microeconomic processes fail to match supply and demand. In this talk I explain why Internet technology suffers from all seven. I then outline a technical proposal being standardised at the IETF to address at least five of these problems. I also briefly survey solutions addressing the other causes of Internet market failure. Expertise in either network economics or Internet technology will not be assumed. Internet users are able to reach any server from any access point at any time due to the interconnection and the exchange of IP traffic between about 40,000 different Autonomous Systems. The underlying business model for traffic exchange generates concerns among the network service providers (NSPs), resulting in deadlocks that are challenging the internet eco-system. We introduce the Sending Party Network Pays (SPNP) model and demonstrate why this model can be considered to be a prerequisite to the deployment of QoS. We also outline eco-system issues that can be addressed through this model and discuss its limitations. In the context of net neutrality debates occuring around the world, a central question concerns the extent to which network operators should be free to manage certain Internet applications differently from others. Some stakeholders advocate for regulatory intervention on the basis that this sort of traffic management gives network operators too much power over which applications succeed or fail, while others argue for reliance on competition between network operators to discipline operator behavior. Yet evidence from the UK and the US suggests that the practical reality of how network operators have gone about managing traffic in the last half decade is not entirely consistent with expectations about the disciplining power of either regulatory or competitive forces in the marketplace. Understanding why Internet traffic ultimately gets managed in a particular way requires a deeper understanding of the interplay between technical, economic, political, and social dynamics confronting network operators. Content and service delivery architectures for the Future Internet, with an emphasis on (but not limited to) technologies following the Information-centric paradigm, such as publish-subscribe architectures, cache placement techniques, new inter-domain routing systems, etc. Interconnection agreements and monitoring, with an emphasis on technologies promoting (semi)automated collaboration between ISPs for QoS-aware service provision (including inter-domain routing) and service management. There continues to be heated debate about network neutrality: what it means, why it is important, what effect the policy has. In this talk, I will discuss how economic models of two-sided markets (or platforms) can help to shed light on these questions. Participation to the workshop will be by invitation only. Please express your interest by filling the form below and you will receive notification timely.